The October Giveaway is in the house! 3. This month’s featured item comes from my brand-new sponsor, WontonMommy. She specializes in couture accessories for both baby and mommy, and she’s offering you guys a shot at her uber-cute Kennedy headband which features gorgeous oversized chocolate and champagne blooms and is accented with antique pearls and an ivory satin bow. Be sure to check out her other adorable wares! 6. A fun and funky little pocket-planner so that once you’ve gotten yourself all sweet-smelling and prettied up, you can remember where you were supposed to go looking so fine! 1) Follow Five days…5 ways publicly (if you already do, just leave me a comment telling me so). MAKE SURE you include your “following name” in your comment! 2) Leave me a comment telling me where you’d go all gussied up in your October Giveaway loot. **For all three of the above options, you can use the handy-dandy buttons at the bottom of this post, but be sure to tell your fb/twitter/blog readers to mention you when they come enter. 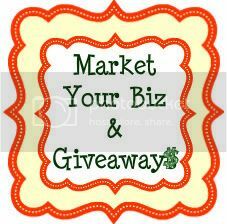 You will receive 1 extra entry for every referral that mentions you sent them!! 6) Subscribe to the Five Days…5 ways feed. 7) Like Five days…5 ways on Facebook. 8) Like WontonMommy’s Facebook page. Remember to leave a comment for every entry requirement you complete so you can get your name in the hat the maximum number of times! Comments close Tuesday, Nov. 1st, at 12:00 A.M. CST. The winner will be chosen by a random number generator and announced Wednesday, November 2nd. I also like Five Days… on FB. I would love to get all gussied up in those gorgeous colors for a dinner out with my hubby — Leaving the little one with Gramma for the night! Hi Abbie! Love the blog! I follow you under Kelley MBM. Thanks for the opportunity Abbie! I also like FiveDaysFiveWays on Facebook. Thanks for much for your blog. I don’t comment much, but I should because you and Mandy have helped transform my life in such a positive way. Thank you, Thank you, Thank you!!! Like five days on FB: Oana Catalina. I would go on a date with my fiance. I like WontonMommy on FB. I liked the latest jewelry pic by Wontonmommy on Facebook. oh I’d go on a date…you know those things where you go with out small children, and eat a meal that is hot , and talk with out being interrupted? sign me up, I’m a follower!! If I won the give-a-way this month..I would totally rock a brown dress with that beautiful starched flower (which I tried to make with epic FAIL) I would love to go out to dinner with my hubby..without the kids ,hee,hee! I’m so mentioning you on my blog! (as well as the give-a-way!).. Thanks so much for your blog! I love it! I am going to go on date with my hubby. We kind of forgot to go out for our 13th anniversary. I would take my husband out for dinner at a nice Bistro, downtown. And let him do all the talking over our meal. I commented on Five Days 5 ways on FB. I like so to mommy on FB. I like Five Days 5 Ways on FB. I am now following your Five days giveaway; my following name is P.J. I like WontonMommy’s facebook page! I like Five days 5 ways on facebook! I would go out to dinner with my husband in Mexico in January with all of that loot! I follow this blog publicly! I tweeted about this giveaway (justjulia22) !! I’ve subscribed to Five Days…Five Ways’ feed. I would get all prettied up and make my husband take me out on a date to some place fancy. I liked Five Days…Five Ways on FB! I’m Julia from writersblocknearyou and I follow Five Days…Five Ways. Love it! I’m a newish follower (ms.curdy) of 5d5w. I’d wear it all out on halloween, and nobody would know it’s me with all that pretty! I like 5 days on FB and follow via email! I’d use the goodies to gussy up my girls and myself for a girls night! I’d use my loot on a date night w/ the hubby! I would totally get all gussied up to go on my anniversary date this month with my husband! We have been married 7 years this month, whoooooooot! i like wontonmommy on FB. i luv this stuff would look so sweet on a little girl! I’m a public follower (Ash). I would probably get gussied up for church. I would go on a date night with my Handsome hubby with these goodies! And I’m already a follower. Would have to be a date night with my husband! I think I would get all dressed up and go out on a date with my husband! I have been CRAVING PF Chang’s, so I would love to get gussied up to go there! I already follow you and I love your blog! I like you on facebook. Um – yeah so I pretty much stalk you. *evil laugh*. Where to go, where to go. I’d like to say I’d go on a date with the much-to-often neglected husband. But I’d probably end up at wal-mart getting yet another gallon of milk and loaf (or two) of bread! I am already a follower of 5D5W via Facebook too! I put a link to this giveaway on Facebook! I really love the starched flower you made! I would go on a much needed date night with the hubby! I am a follower of your blog, Thanks for the giveaway! I guess I would have to find a party if I won and got prettied up. I like WontonMommy on facebook. I subscribed to the 5D5W feed! I like 5D5W on facebook! I would make sure I planned a date night with my husband…that is a very rare thing these days, so it would be awesome! I follow you! Jessica Mets. I follow you! Amanda Triplet or Amanda T on google…I won’t know for sure until I leave the comment and it shows me the name I have registered…isn’t that sad? !